The Elastos Foundation has announced the cooperation with two British firms at its 2nd official U.K. Meetups in London, on 21st April 2018. 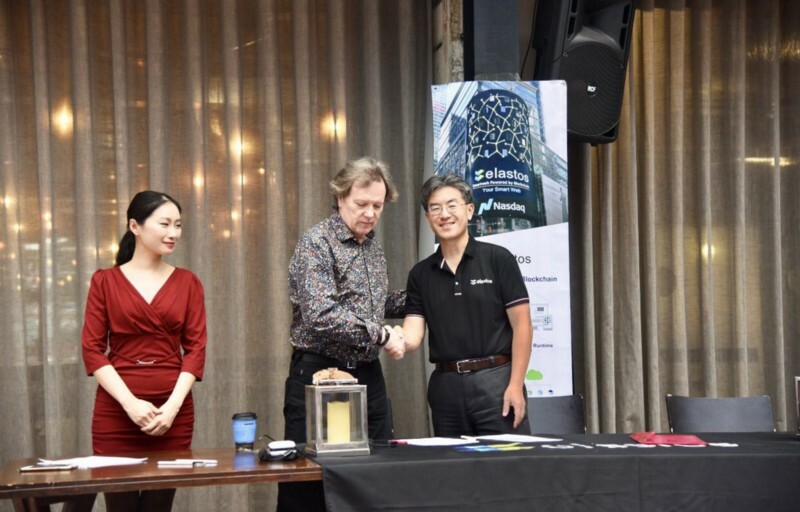 A MOU signature ceremony has been carried out between Mr Ken Dytor, Urban Catalyst Ltd, Ms Ding Ding, UK China Catalyst Ltd and Elastos Foundation at the event and witnessed by ELA fans. Urban Catalyst is a mixed-use real estate development firm, established in 1998, with a strong history of delivering public-private projects exemplified by high-quality design and the creation of sustainable social infrastructure led urban communities where people want to live and work. Company project values are in excess of £2 billion. Company Founder and Executive Chairman Mr Ken Dytor have held senior non executive positions including English Heritage, London Southbank University, British Property Federation and the British Council for Offices. He has also had senior executive roles at the Crown Estate and British Land. UK China Catalyst was established in 2016 and has focused on the projects in real estate, sports, medicine, technology, education and media, including cryptocurrency investment, mining companies investment, and blockchain ecosystem implementation. Both British firms work together and will be exploring and developing the Elastos Foundation ecosystem in the UK and EU , including the £1bn + real estate development including Film and TV creative industry studios in London. They are also working in other areas of UK and EU, combining blockchain technology, promoting ELA and its token ecosystem in the use of commercial settings including local and international students and a power station led development.